What is the best Plumbing service in Hollywood FL? If it is an emergency, we suggest that you stop reading and call us right now at this number: 954-210-5131. We are open 24/7 and one of our operators is always ready to pick any incoming call. In each city, you will find a million plumbers but how to find THE right plumber, the one you can call every time you have a problem or even a question about your plumbing system? 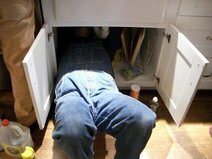 A good plumbing service is one of the hardest thing to find on earth (close to a good donut shop). You want to pay a good price and get some quality service also, but value that comes cheap isn’t very common. With that in mind, we have started our own home plumbing service that provide every single customer, whether it’s a 100$ customer or a 10,000$ customer, with the same level of service, respect and integrity. Our whole company was started with customer experience in mind and we are always looking for new ways to find ideas and potential ways to improve our customer service skills. It doesn’t mean we will send you customer satisfaction surveys everyday with thousands of questions to answer, don’t worry. Our plumber repair services cover everything from clogged toilets to water heater replacement and installation. We are a one-stop shop and we pride ourselves to work with plumbing experts that can virtually solve any kind of problem. I think we could open a plumbing university by now. We have every aspect of plumbing down to a science with precise do’s and don’ts and we love to share our knowledge. We believe that a good plumber is never afraid to share freely some piece of advice and should advise each customer taking the customer’s standpoint and doing what’s is on his/her best interest. Whether you need residential plumbing services or commercial plumbing services in Hollywood FL and surrounding areas, give us a call or drop us an email and we’ll be at your house/office in the next 45 minutes. Our work’s philosophy is very simple: great quotes, fast service, fast turnover, durable results that last. Our local plumbing service is exactly what you need if you are looking for a professional, yet friendly, plumber that will help you solve your plumbing issue. Broken pipes beware, the plumbers of Hollywood are out there! We have a full team of residential plumbers and another of commercial plumbers in order to keep a decent level of specialization. They are both equally talented. In our work, we use only quality materials and prime products in order to keep the highest standard of service and work required by our founders. We are almost genetically inclined to do our best. When doing our utmost to get the job done well, we feel satisfaction, pride and we usually love the results: a smile on your face is priceless. Call now to try our plumbing repair services, from the best plumbers Hollywood Florida you won’t regret it! We cover every single neighborhood or Hollywood Florida and surrounding areas in Broward county. DISCLAIMER: Plumbers of Hollywood is not a plumbing contractor we are a plumbing referral service.